Although tires are often taken for granted, they contribute greatly to the ride and steering quality of a vehicle. 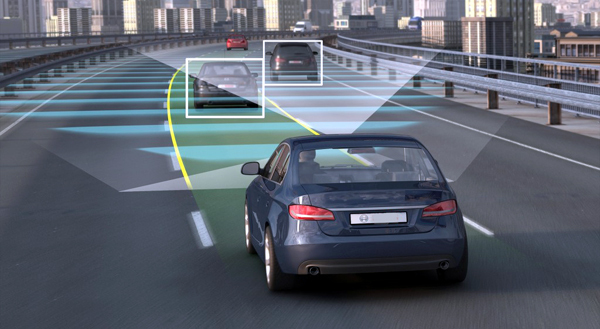 Tires contribute to directional stability of the vehicle and must absorb all the stresses of accelerating, braking, and centrifugal force in turns. Tire design varies depending on the operating conditions and the load capacity of the tire. Tire design varies depending on the operating conditions and the load capacity of the tire.A tire designed for improved steering and handling characteristics has nylon bead reinforcement and a hard bead filler with a slim tapered profile.This type of tire is suitable for sports car operation because the design stiffens the tire and reduces tire deflection during high-speed cornering.However, this type of tire may provide slightly firmer ride quality. 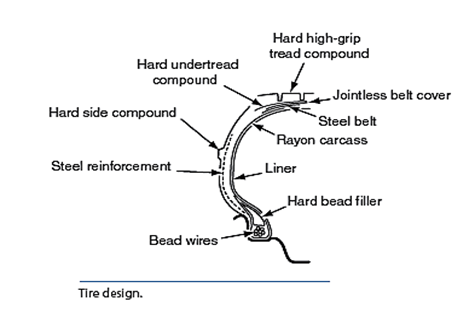 The bead filler above the bead reinforces the sidewall and acts as a rim extender.Tire sidewalls are made from a blend of rubbers which absorbs shocks and impacts from road irregularities, prevents damage to the plies, and also contains antioxidants and other chemicals that are gradually released to the surface of the sidewall during the life of the tire.The cord plies surround both beads and extend around the inner surface of the tire to enable the tire to carry its load. 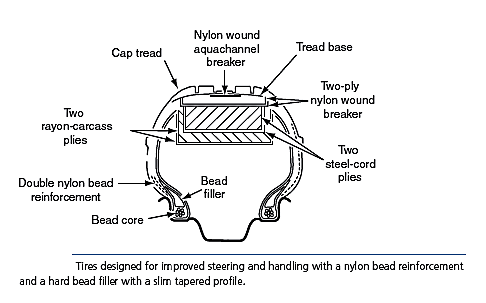 The plies are molded into the sidewalls.Steel is the most common material in tire belts, although other belt materials such as polyester have been used to some extent.The bead filler above the bead reinforces the sidewall and acts as a rim extender. Why batteries are more powerful than Gasoline ?